Four years after independence [and partition], India had gone to polls. The first general election was held in 1951-52. 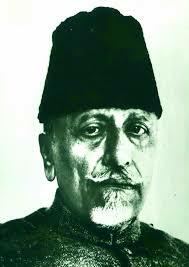 Even in that era, substantial number of Muslims were elected to the Lok Sabha. Surprisingly, many publications say that there were just 11 Muslims in the first parliament, the truth is that the figure was much more. It is strange how and when '11' was assumed to be the number of Muslims elected in the first general election. In fact, as many as twenty (21) Muslims were elected to the first Lok Sabha, and there were four nominated members too from the Muslim community, taking the number to 25. The wins and the representation of Muslims in the lower house of parliament, clearly suggested that independent India had a secure place [and future] for minorities. 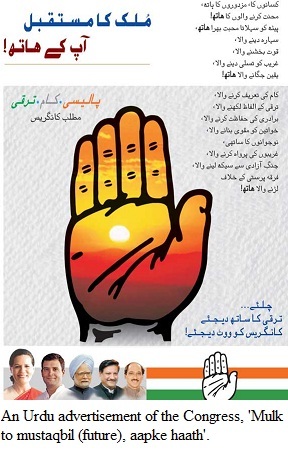 Most of the Muslim candidates won on Congress ticket. 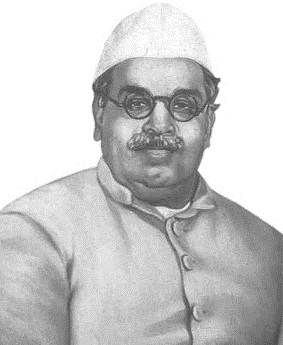 There were many stalwarts who were member of the first Lok Sabha. Some had to be fielded from Muslim majority constituencies too as Congress didn't want to take risk of their losing the election, due to polarisation. However, the Congress was so popular then, that its Muslim candidates won easily. 3. 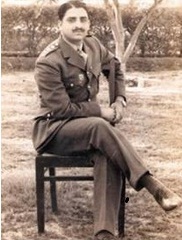 General Shahnawaz Khan [of Subhas Chandra Bose's Indian National Army viz. 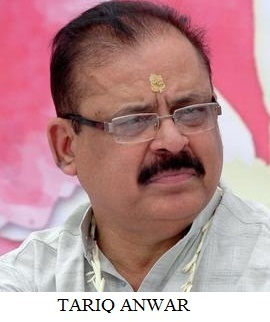 INA] had won on Congress ticket from Meerut. He had got 1.25 lakh votes and his rival, the Ram Rajya Parishad (RRP) candidate Suraj Bal Swami could manage just 36,136 votes. 4. In Hardoi (UP), Congress candidate Colonel Syed Bashir Husain Zaidi had got 1.11 lakh votes and had won the election. 6. Chaudhari Hyder Husain, who was Congress candidate from Gonda (UP), had defeated Bharatiya Jana Sangh (BJS) candidate Dikshit Deomani Acharya. 7. Senior Congress leader Rafi Ahmad Kidwai had defeated RRP candidate Rameshwar from Bahraich (UP). Kidwai had got 47,000 votes while his rival got just 22,000. 89,000 votes compared to his rival who got just 21,000 votes. 10. In Ranchi (Bihar), Congress' A Ibrahim had defeated Socialist Praty's Ajit Nath Banerjee. 11. In Assam, Amjad Ali had won on Socialist Party (SP) ticket from Goalpara Garo Hill constituency. 12. In Central India [today's Madhya Pradesh], Syed Ahmad had won from Hoshangabad, a constituency near Bhopal. He had defeated HV Kamath, who contested as an independent by just 174 votes. 13. In Chanda constituency, Mulla Abdullabhai Taherali had won by a huge margin of 87,000. He fought on Congress ticket and got 1.42 lakh votes, compared to 55,000 garnered by his opponent. The constituency is now in Maharashtra. 14. In Bhopal (MP), Saeedullah Khan Razmi had won from one of the two seats in Bhopal, then. He secured 48,000 votes and defeated Hindu Mahasabha (HMS) candidate Udhav Das Mehta who got 34,000 votes. 15. 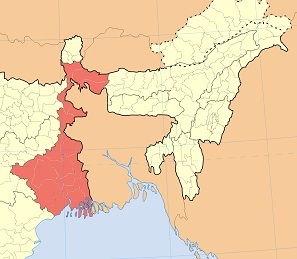 In Murshidabad (West Bengal), Mohammad Khuda Baksh defeated independent Dhirendra Nath Rai. Bakhsh who contested on Congress ticket, got 1.24 lakh votes while Rai got 52,000. 16. In Kalnakatwa (WB), Congress' Abdus Sattar had defated HMS' Ashutosh Lahiri by a substantial margin. 17. In Hyderabad city, Congress' Ahmad Mohiuddin had defeated PDF's Makhdoom Mohiuddin by 16,000 votes. 19. In Ibrahimpatam (Hyderabad), Sadat Ali Khan had defeated SCF Subbiah. 20. Akbarbhai Chavda had won from Banaskantha on Congress ticket. 21. At first-glance, one may not count the name of B Pocker in the list of MPs (members of the first parliament). B Pocker, a Musilm candidate, had won on Madras State Muslim League (MML), which later became IUML, defeating the Congress candidate from Malappuram constituency. B Pocker Sahib Bahadur who hailed from Malabar (Kerala), was earlier also a member of the constituent assembly. A couple of days back, Congress leader, Anand Sharma, was attacking the BJP, and asking how the the party could get so much funds to run the high-pitched campaign for Narendra Modi? I was amused at Sharma's 'innocence'. Shouldn't Congress being the ruling party for the last decade, be knowing the source of BJP's funding? What was the government doing? Don't the intelligence agencies work under it? Yes, BJP's election campaign and its strategy is far ahead of Congress. In fact, the backroom boys of BJP have done a tremendous job, in creating the 'wave'. Newspapers, electronic media, internet, all are abuzz with BJP's publicity. But who stopped Congress from planning its campaign? Narendra Modi addressed more election rallies across India. His chopper kept flying everywhere--even in North East and Southern states, where BJP didn't have much presence. From addressing 3D rallies to 'Chai pe Charcha', he has been in the news all the time. A Hindi newspaper, Dainik Bhaskar, published a report on its front page, comparing the resources thrown into Rahul Gandhi's campaign and Modi's campaign. Ten years as ruling party, yet UPA can't manage funds! While Rs 10,000 crore has been spent in Modi's publicity, the figure for Rs 500 crore for improving Rahul Gandhi's image. The difference is quite clear. [Who says, we are a poor country?]. Leaving the virtues of socialism behind, now let's come straight to the topic. When BJP, being out of power at the Centre, for ten years, could manage to much funds, why couldn't Congress plan, coordinate and run a more visible campaign for the Lok Sabha election? Except one or two catchy lines, used recently, and some advertisements, Congress' campaign was pale most of the time. It tells a great deal about UPA leadership's failure that while they were in power, and were quite strong till last year, when everyone thought BJP had little chance to win election [till RSS okayed Modi's arrival on scene], but the businessmen openly sided with Modi and the BJP, without apprehending that this tilt may upset Congress. Clearly, Congress' calculations failed. There was something seriously wrong with them, that today the party's candidates are often heart talk about lack of funds to fight election. There is lack of enthusiasm among candidates. I am not at all a Modi fan but his speeches evoked interest. In sharp contrast, Rahul Gandhi's speeches lacked the conviction. Often, it seems, his heart is not into, what he is doing. Even the language is strange, too much cosmetic. Addressing rural Indias, his speech writers, use such tough words that aren't used in villages, at all. Hence, there was no impact. Addressing a public meeting, he was speaking about Modi, and talked about 'Advani' and 'Adani', but he fumbled and the crowd sat blank-faced. Let's forget all. 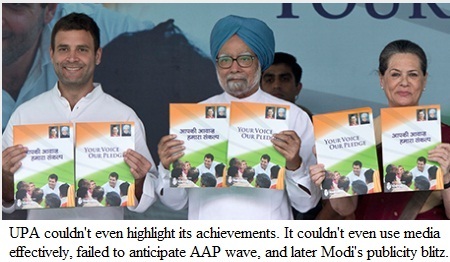 The question is why Congress couldn't even highlight the achievements. In the first term, it came up with NREGS (MNREGS, now), and Right to Information Act (RTI). Similarly, Right to Education (RTE), is an important step, or for that matter, the Food Security Act. For example, if the Congress has done something for the tribals, their right over land, or for those below poverty line (BPL), then it should have spoken about it, loudly, again and again, and sent the message. The situation has come to such a stage that in several states, BJP's powerful CMs have often taken credit for UPA's schemes, especially, in health sector, and managed to give impression that these were state-run schemes. Interestingly, the Congress leaders now complain that the BJP leaders hijacked Centre's schemes. It is really a joke. Shouldn't Congress have taken credit for their schemes? Who stopped them? Or you thought you are the 'default ruling party', and there was no need to tom tom your 'achievements'. Whether they had any achievements or not, BJP has surely given impression that it is running states effectively in Gujarat, MP and Chhattisgarh. It takes credit for a lot, it didn't do, but it does. Congress couldn't do that either. In this era, Congress leaders continue to neglect the social media. While Narendra Modi's twitter handle was getting thousands of followers everyday, there was nothing in the name of Rahul Gandhi. So if someone wants to interact with him or send him a message or make a suggestion, he can't do that. It is not about whether the person's suggestion is accepted, but it is about the satisfaction of having driven home a point. But there is nothing of that sorts. The Twitter campaign of Congress got active only recently. Still, Rahul Gandhi has no official handle on Twitter yet. Why? Can't he get a 'competent team' to tweet on his behalf, when even AAP leaders can do much better. 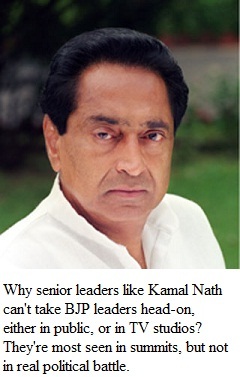 No Connect: Why senior leaders like Kamal Nath never speak on TV, face questions, reply? Yet another aspect is how UPA ministers are not ever seen replying to BJP's allegations. If ever you see a Congress leader speak, he is plain dismissive about the BJP or avoids talking about the issue, like Kapil Sibal or Salman Khurshid. There is no strong and logical replies to counter BJP's charges. While BJP leaders are quite articulate [also aggressive], the senior most Congress leaders like Kamal Nath, are never heard on TV. Or for that matter, Sushil Kumar Shinde, Madhav Rao Scindia and Ghulam Nabi Azad. What to talk about Antony, Tharoor, Jaipal Reddy, Oscar Fernandes? On studio and stages, the voice and the verve matters. The body language, conviction and speech, go a long way, in setting off the momentum. This is not about results of election. Despite running a high-voltage campaign, BJP may not be able to form government, but Congress won't do good either. But is it ready to learn from its failures? That's the question. Media often takes up the issue of Narendra Modi not wearing a 'topi' [skullcap]. I don't think it is an issue at all. Do you think those who oppose him would have a change of heart, if he wears the topi! Still, on TV & social media, this issue is raised time and again. Amid conversation with Muslim friends, this topic often came up. Not a single Muslim I met, ever said that he expects or wants Modi to wear the topi. Why should it be expected? In fact, the person who offered him topi shouldn't have done it. Citizens want the politician to be honest and work, rather than do such gestures. People on the street are more smart than journos believe them to be. Another interesting aspect is that many people write that while Hindus are expected to wear topi, Muslims don't do anything like that? Arrey bhai, this is no secularism. 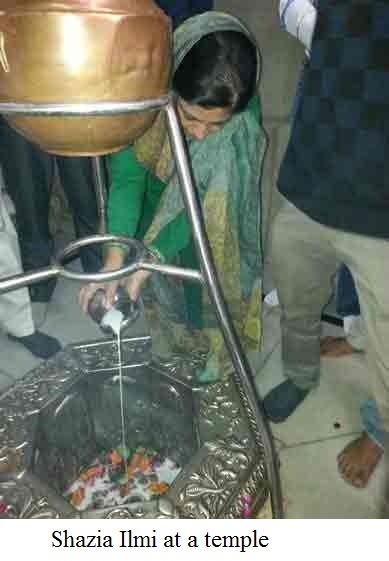 Just for the sake of information, I should tell you that Muslims not just sport 'tilak' but many politicians have even done puja. So? How many Hindu leaders perform Namaz? Is this a debate at all? Muslims remember how PV Narasimharao spoke in chaste Urdu on TV just after 'allowing' the demolition of Babri Masjid, and even promising that he would rebuild the masjid again at the same spot. LK Advani is seen covered in green cloth at Ajmer shrine but don't we remember his Rath Yatra? They do it for reasons they know best. 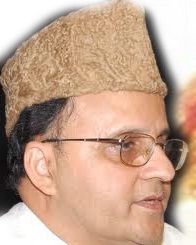 Topi is no Islamic symbol though it has become one in India. In Arab, even in mosques you don't need to cover your head, during prayers. In India, media image of Muslims is that of a person who is wearing the skullcap. Till a few decades back, it used to be the Turkish cap. But in India, we have a unique culture. Hindus and Muslims, despite their perceived differences, attend each others' programmes and even religious events. Prominent persons are invited at such places, and to offer respect, the person is either offered 'headgear', made to wear 'saafa', or 'tilak' applied on forehead. This doesn't mean everything should be seen as Communal Vs Secular or Hindu Vs Muslim. Section of media splashes the pictures to create CONTROVERSY and then seeks others' opinion to get TRP. Though this is a non-issue. When Mamata Bannerji covers her head, the photo is seen as 'interesting' and gets published. Lalu Yadav, Mulayam and even Atal Bihari Vajpayee were seen wearing topi at iftaar. Muslim politicians with 'tilak' are common to see at any event. In fact, Muslim leaders often go to temples and even pray. Yes, they do it too, despite all allegations of Muslims being more rigid. Do Hindus expect them to do it? No. Only a fool will call it appeasement. And no one forces them to do it either. While passing the area, the leader feels that he should go to the temple, he goes. Nobody prevails upon the neta to do that or even bow head before God or Goddess. I know many Muslims who have no objection getting a 'tilak' on their forehead. But some may not because they don't have Hindu friends from childhood. Similarly, many Hindus easily go to mosque or dargah while some don't, again, because these Hindus didn't have close Muslim friends early in the life. You can't judge people over these issues. All these gestures are more about your personal feelings. A person does it also because of his society, his childhood friends and his/her engagement with people in his/her area. A person or politician may not resort to such gestures but at the same time he could be many times more honest and just. In fact, those who talk about such things, probably, have never lived in the real India, and have no idea about the strength of Hindu-Muslim bonding at the ground level. As I start thinking, I can recall many more politicians doing such acts. It is their personal choice. They often do it to respect others sentiments. It is not right to say that they are fooling us. 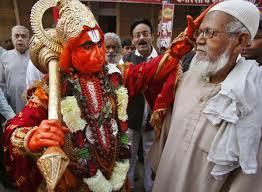 Would you call these acts as 'Hindu Tushtikaran' or 'Hindu Appeasement'. Of course, not. We are a diverse country of multiple faiths and overlapping cultural practices. 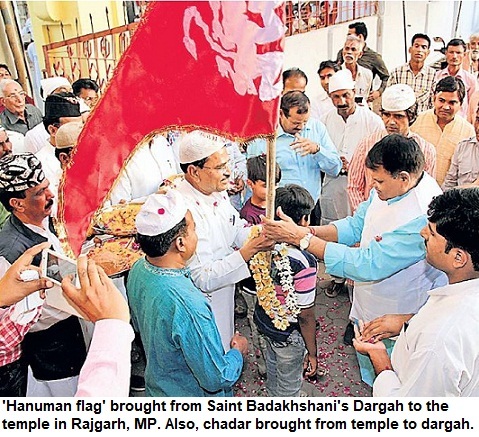 Don't we all remember, how Samajwadi Party MLA Chaudhary Bashir was attacked by a section of clerics for Puja at Hanuman temple in Agra. And MUSLIM LEAGUE's leader Cherkulam Abdullah went to mutt and sported vermilion [tilak] on his head, leading to a controversy. There is no dearth of such incidents. We are a unique society. It can't be judged from British, American or any other point of view. We are a nation of 1.2 billion persons. There will be many trivial incidents every day and at the same time there will be many great events too. Depends, what you track, what you see, what you are shown and what you want to believe. Those in media who feel that Muslim with tilak is doing 'Hindu tushtikaran' or Hindu wearing topi is 'Muslim appeasement' are not too much far from those who think India is just a land of snake charmers and yogis. Or you perhaps had most interaction with the 'Other' on just social media and internet. BJP's double-speak on welfare schemes for Muslims: Shouldn't party come clear on its policies regarding minorities or does it intend to extend 'Gujarat model' nationally? This aricle was first published in an Urdu daily*and it raises important questions about BJP's policies and its intent regarding the welfare of Muslims. The BJP being a national party should reflect on these issues and clarify its stand. On one hand, BJP leaders including PM candidate Narendra Modi quote** Sachar panel's findings in speeches to show the plight of Muslims. But on the other hand, the same party in Gujarat is not ready to implement a central scheme that can benefit poor Muslims students and is adamant over it, even though BJP governments in other states have no objection to the scheme's implementation]. BJP vice-president Mukhtar Abbas Naqvi had recently said that if his party forms government at the centre, then it would implement the Sachar committee recommendations. Naqvi said it to journalists on March 20, in Rampur. But Gujarat government has approached the Supreme court terming the Sachar panel as illegal and unconstitutional. The scholarship scheme for students belonging to minority communities was not implemented in Gujarat. I took up this issue in my power point presentation before Chief Minister Narendra Modi in Ahmedabad on June 29, 2013. After I gave my presentation, Modi came to me and said that Gujarat government intends to tell the Apex Court that 75% of the amount is borne by Centre and 25% by State under the scheme, but if Centre gives cent percent [100%] money for the scholarships, then it will be extended to the state. When I said that BJP governments in Jharkhand, Uttarkahand and Chhattisgarh had implemented the same scheme as per 75%-25% formula, he thought for a while and said that it is about these (other, not Gujarat) state governments. Doesn't it clearly say that Gujarat government would not let Muslim students in the state, avail the facility of the scholarship scheme. Later, in November 2013, Gujarat government, gave an affidavit in the SC, terming the panel's existence as illegal. It is apparent that BJP governments in many other states had no objection to the scheme and even BJP isn't wary of it, as Naqvi stated in Rampur, but Gujarat government has reservations about the implementation of the scheme. Shouldn't Narendra Modi, who is now the Prime Ministerial candidate of the BJP, clarify the overall BJP stand on it. If he doesn't do it, then the statement of party vice-president should be changed. If there is no clarification on this front, it can have an affect on Muslims and other religious minorities, who will be free to form their own opinion. Also, their voting pattern can be affected by it. On ABP news' programme, Amit Shah said that BJP hasn't changed its policies and those coming to join us, support our policies. Now, shouldn't Jagdambika Pal, Ram Vilas Paswan, Ram Kripal Yadav and such leaders clarify their position too on the Gujarat government's affidavit in the Supreme Court. In the affidavit, Gujarat government maintains that if any scheme is made just for Muslims, then it is unconstitutional. But then, there is no mention about the Presidential order of 1950, which selectively targets Muslims and Christians, as it stops scheduled castes among them can't get benefit of reservation, which is also a selective order for certain groups and is clearly discriminatory on religious (communal) lines. The communities excluded due to this order have suffered enormously in the last six decades. Gujarat government's stand is incorrect as Sachar committee made a comparison of different communities on a number of indicators before coming to the conclusion about backwardness of Muslims. Not just the Sachar panel, but also the Justice Ranganathan Mishra commission report establishes that Muslims are the most socio-econominically backward group in the country and they don't get adequate representation in jobs and on other fronts. Under article 16(4) of the constitution, it is states that if a 'class' of citizens are not well represented, then reservation ought to be provided to them. Ranganath Mishra commission and Sachar committee have corroborated the fact taht Muslims don't get due representation. Hence, this class should be given reservation. The Scheduled Castes (SCs) have also got the reservation under this clause. If Muslims can't get reservation because of their religion, then the Presidential order of 1950 should is also wrong, as it benefits adherents of particular religions. 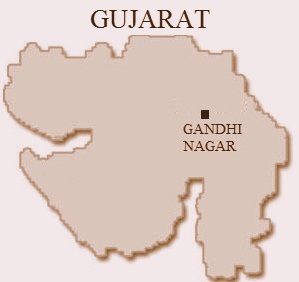 Gujarat government mentioned that the Sachar report put forth statistics about Muslims alone. Though the reality is different. In the report, through hundreds of charts and graphs, the Muslim community has been compared to Hindus, Sikhs, Christians, SCs and STs, on educational, socio-economical and other indicators. In National Sample Survey report, the rate of poverty in Gujarat is 18% for OBCs, 17% for SCs, 3% for remaining Hindus, and 0% for non-Muslim minorities but it is 24% for Muslims. NSS' 66th report says that average urban monthly per capita income for is 1,797 for Hindus, 2,053 for Christians, 2,053 for Sikhs and a mere 1,272 for Muslims. Either it is urban area or the rurla region, the income of Muslims is less than SCs (Dalits) too. Dr Tanvir Fazal's report 'Millennium Development Goals and Indian Muslims' tells that rate of poverty decline is least among Muslims, at just 3.1%. If there is a comparison among states, then just three other states are behind Gujarat, as far as presence of Muslim childrne in schools, is concerned. Yet, the 'model' Gujarat government is taking all possible steps to deprive the poor Muslim kids from getting benefited by a welfare scheme! Isn't it a tragedy? We can only wonder about the India of our dreams, if a similar model is replicated at the Centre.